Can We Do Greater Works Than Jesus? Why did this bother me? Well, because Jesus did spectacular miracles! 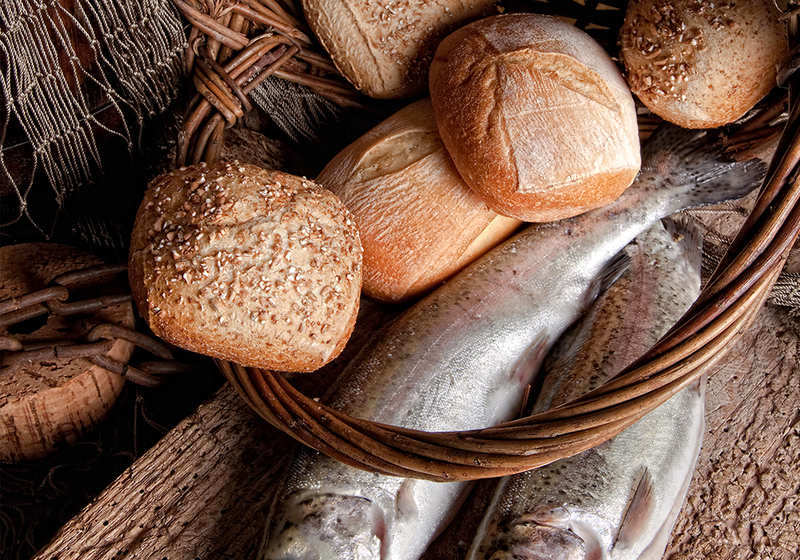 He fed five thousand people using only five loaves of bread and two fish! He healed people. He raised Lazarus from the dead! I don’t know about you, but I believe in Jesus, and I have never done anything close to that, and I don’t know anyone who has! Now, people have offered me explanations for the verse before. The most common has been that Jesus was talking only to the disciples and that the miraculous gifts are no longer given to us. But that’s not what the Scripture says. It says, “He that believeth on me.” So, to me, that explanation was not satisfactory. So, what then? What are these “greater works” we should be doing? Well, I’m happy to tell you I finally got an answer. My pastor taught on this verse recently and he put it in a perspective I had never thought of before. You see, when we read about Jesus’s great works, we think about the miracles. Yes, the miracles are great, but really the miracles were not the work themselves but simply a method to accomplish the work. What’s the actual work? Pointing hearts towards repentance and salvation. The miracle is not the finished work, but rather the method. The work is pointing people toward repentance and a saving knowledge of God’s grace embodied in Jesus. Want proof? Let’s look at an example in Jesus’s earthly ministry from Mark 2. Jesus is speaking in a home and it is so crowded even the doorways are jammed. Four men are so desperate for Jesus to heal their paralyzed friend that they tear a hole in the roof and lower their friend down to Jesus. Now, what does Jesus do? He says to the paralyzed man, “Son, thy sins be forgiven thee” (Mark 2:5). Why would He do that? Jesus knew the men wanted a miracle performed so their friend could be healed physically, but Jesus knew that the greater work was forgiving the man’s sins. Healing the man’s relationship with God was greater than healing his body. Now, Jesus does eventually heal the man’s body as well, but He does it “that ye may know that the Son of man hath power on earth to forgive sins” (Mark 2:10). He heals the man’s body to prove that He has the power to do the greater work of forgiving his sins. The miracle is not the finished work, but rather the method. The work is pointing people toward repentance and a saving knowledge of God’s grace embodied in Jesus. With that in mind, let’s look at another example of Jesus’s work. Before He feeds the 5000, He preaches to them – “teaching them many things” (Mark 6:34). He feeds them through the miracle to take care of their physical needs. You’d think after hearing His teaching and seeing this amazing miracle, the people would believe, but that’s not the case. We read later on that the crowd follows Jesus across a lake and when they find Him he says, “Very truly I tell you, you are looking for me, not because you saw the signs I performed but because you ate the loaves and had your fill” (John 6:26). Jesus goes on to tell them that they should believe in Him and that God sent Him. How do they reply? “What sign then will you give that we may see it and believe you?” (John 6:30). Wow! They already saw Him heal and feed 5000, and they want another sign! If we read on, Jesus continues to preach to them. And the results? “Many of his disciples turned back and no longer followed him” (John 6:66). So, let’s sum up. Jesus teaches them for multiple days, performs many miracles including feeding the 5000, and in the end, fewer people believe in Him. Now, let’s look at a teaching that did greater work than Jesus’s teaching. In Acts 2, Peter preaches his first sermon, and what’s the result? The people who “gladly received his word were baptized: and the same day there were added unto them about three thousand souls” (Acts 2:41). He didn’t even do a miracle. He just taught, and it was his first time! Later on, Peter teaches a second time “and the number of the men came to about 5,000” (Acts 4:4). Now if we are just comparing numbers, who was more successful? Jesus taught, performed miracles, and people left Him. Peter just taught twice and 8000 people were added. We’ve seen how the real work is spiritual, but let’s even consider the physical works. Jesus fed 5,000 with this miracle. There was another miracle where he fed 4,000. That’s a lot of food. But now, let’s look at the Salvation Army. It was founded by a minister named William Booth. 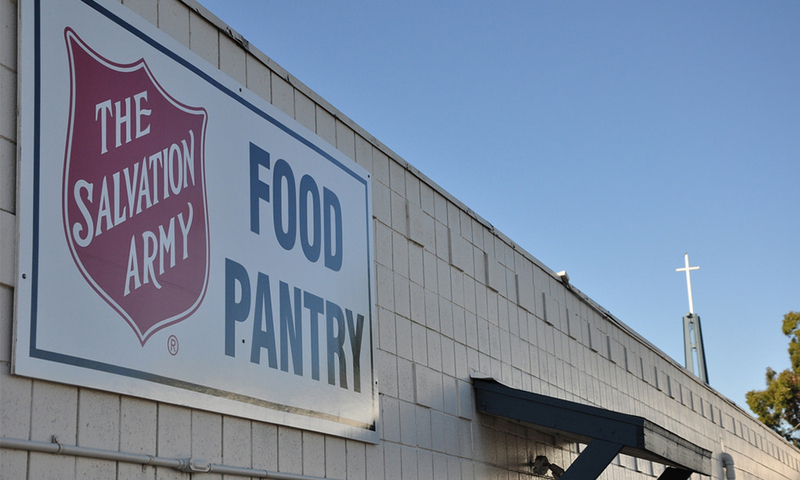 Thanks to his works, the Salvation Army now provides over 56 million meals every year. Every year! Now before any of you send me angry comments, I’m not saying William Booth or Peter was greater than Jesus. I’m absolutely, 100%, DEFINITELY not saying that. However, these are examples of Christians doing greater works than Jesus. Which is exactly what He said we’d do in John 14:12. How is this possible? How can we do greater works than Jesus? Well, let’s continue with the rest of John 14:12 and see the answer. “Verily, verily, I say unto you, He that believeth on me, the works that I do shall he do also; and greater works than these shall he do; because I go unto my Father.” The only reason we have any ability to do great works at all is because Jesus went to the Father. Jesus’s mission of redemption and salvation had been completed. He returned to the Father and sent the Holy Spirit to dwell in us (John 14:16-21). Brother, we don’t do good works in our own power. We do them through the redemptive grace of Jesus in the power of the Holy Spirit, the same Spirit who was upon Jesus through His entire ministry. And why do we do good works? Just like His miracles, our works are there to point back to Jesus.